It could be that your job search just got easier, thanks to TechStar Thailand. The Bangkok-based IT job search website has recently decided to add a Line app especially with social media users in mind. 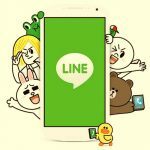 They plan to be able to make a connection with the more than 33 million users that are currently already using the Line application, allowing them to simply add an account and type in keywords into Line chat. The system will then, in turn, serve up any results for positions, job titles or employers that contain that keyword. Some of the ways that you will be able to search for jobs by making use of this is by application, development skill, job title, system or even industry. This will be an alternate channel for job seekers outside of the website or the mobile site and it will be different from other competitors in that TechStar is specifically targeting those in search of a job who are between the ages of 25-35. Currently, there are 1200 positions listed by 400 different organizations. It is estimated that there are over 100,000 IT professionals who have varying degrees of usable technical skills in Thailand alone. Since those IT skills are high in demand in the areas of Java, .NET and PHP developers, those keywords will lead you to open positions where they are needed. Other high demand positions include business and system analysts, software testers, project managers and mobile app developers. Not only are the previously mentioned areas a high demand topic right now, it is also expected that other areas are soon to be in desperate need as well, including blockchain and cloud computing. Employers are already starting to list these skills as nice ones to have in their job description sections. It is possible that there will be a large number of startup companies that will be seeking IT professionals in the very near future. 2016 saw a great amount of growth in areas of IT professionals who would be willing to transfer over to a new startup. This number is up from recent years, when startups seemed to be having a lot of trouble to start with. So far, Line messenger is the first endeavor such as this and, as with all new technology, the others will only follow if this one is a success. Progress will surely be gauged over the next several months to see if the outcome is a favorable one. ‹ Japan Smartphone Users Swear By Line!